The fourth edition of the Conference for Creative Content (C3), featuring a panel discussion and sneak peek at ABC’s upcoming sitcom “Fresh Off the Boat,” will be held on Saturday, Dec. 6, at 2 p.m. at the David Henry Hwang Theater, 120 Judge John Aiso St. in Little Tokyo. Presented by Visual Communications, C3 is a one-of-a-kind conference bringing together creatives and industry professionals from around the world, especially from Asian American content creators breaking new ground in entertainment media. At C3, panelists connect with the audience of students, creatives, media executives and community organizations by not only speaking about their craft, but also reflecting on the new directions in which creative visions are finding expression. 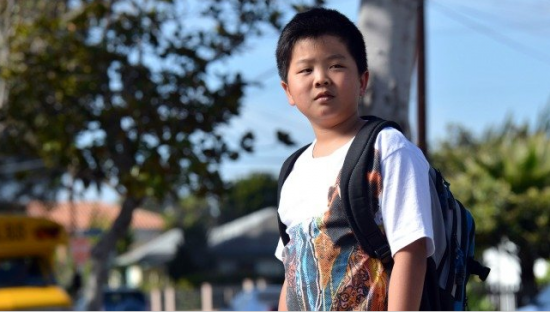 This year C3 will focus on the first Asian American network television show in 20 years (since “All-American Girl”) — “Fresh Off the Boat,” based off the memoirs of celebrity chef and television personality Eddie Huang. The panel will include the creators, producers and showrunners as well as the cast and casting directors and network executives directly involved in bringing the show to light. Following the event, there will be a C3 reception at Far Bar, 347 E. First St. Registration is $20 for VC members and students, $25 for non-members. For more information, call (213) 680-4462, ext. 21, email [email protected] or visit www.vconline.org.